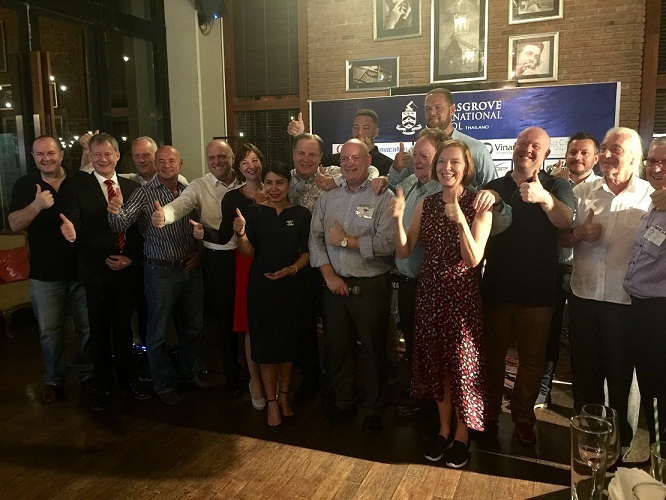 The Eastern Seaboard was awash last night with nine Bangkok based Chambers of Commerces all converging on this seaside resort, famous as a popular holiday get-a-way for Bangkok’s burgeoning population. Pattaya is just 2 hours away from metropolis. With plentiful hotels to choose from – ranging from luxurious to budget – its long beaches, superb value, family and adult entertainment, great dining and seafood make it a perennial favourite. 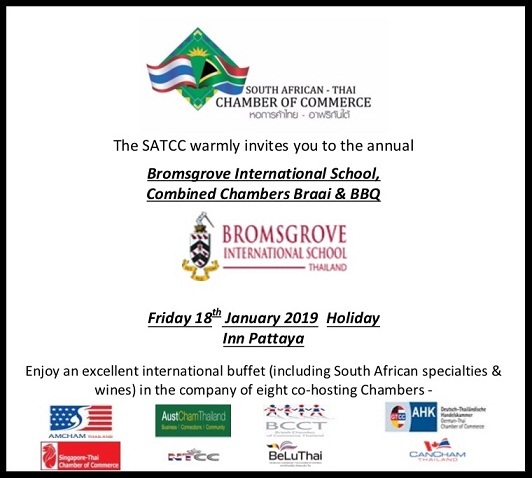 An impressive array of South African specialties and superb wines were served to over 150 guests in the packed venue at the Holiday Inn. 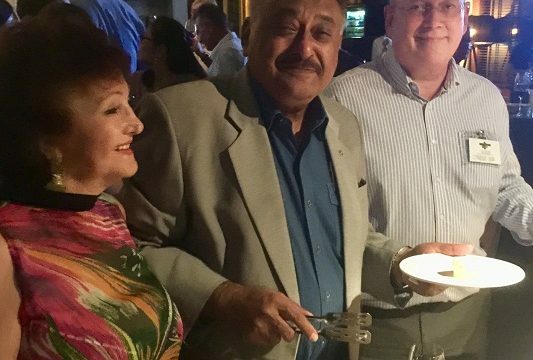 With live entertainment and a meeting of friends, acquaintances and complete strangers there was a buzz in the room as networking, of old and new contacts, was very much in evidence. 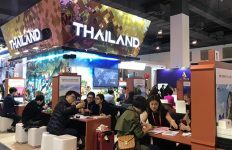 Pattaya has taken on significant importance to Thailand’s Chambers with the government’s launch of the EEC and the projected future investment of US$43 billion in its development. 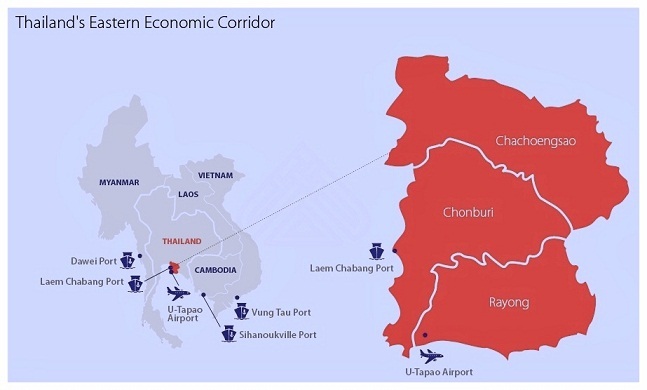 In February 2018 the Thai parliament approved the law for trade and investment in the Eastern Economic Corridor (EEC) to develop its eastern provinces into a leading ASEAN economic zone. The EEC straddles three eastern provinces of Thailand – Chonburi, Rayong, and Chachoengsao. The government hopes to complete the EEC by 2021, turning these provinces into a hub for technological manufacturing and services with strong connectivity to its ASEAN neighbours by land, sea and air. 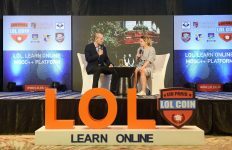 The government expects US$43 billion (Thai Baht 1.5 trillion) for the realization of the EEC over the next five years. This funding will come from a mix of state funds, public-private partnerships. Creating 100,000 jobs, the EEC will grow into a metropolis of the future covering 13,000 square kilometres: a hub of trade and investment, a centre for regional transportation and logistics, a significant source for human resources, a tourist attraction and most importantly, the most modern Gateway to Asia. The Thai government envisions creating established sea routes from the eastern provinces of Thailand to Myanmar’s on-going Dawei deep-sea port project, Cambodia’s Sihanoukville port, and Vietnam’s Vung Tau port. The government is expanding the Laem Chabang seaport – already the country’s biggest – with the goal of transforming it into a marine hub of South East Asia. In addition U-Tapao airport is being expanded substantially. Opening a second passenger terminal and runway, capacity will increase from 800,000 people to 3 million. 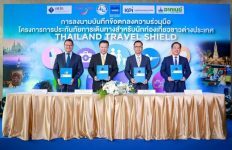 The expansion will not only facilitate an increase in tourist arrivals – attracted to Thailand’s eastern beaches – but will also transform U-Tapao into a hub for aviation maintenance, repair and overhaul, air cargo, and logistics. Connectivity by road will improve with the development of high-speed and double-track railways connecting ports, airports, industrial clusters, and major urban centres throughout Thailand.